To boost alumni support and cultivate the idea of giving back to their Alma Mater, Alumni and Development Office (“ADO”) continued to hold the “Celebrate Graduation with a Gift to UM” fund-raising activity this year. 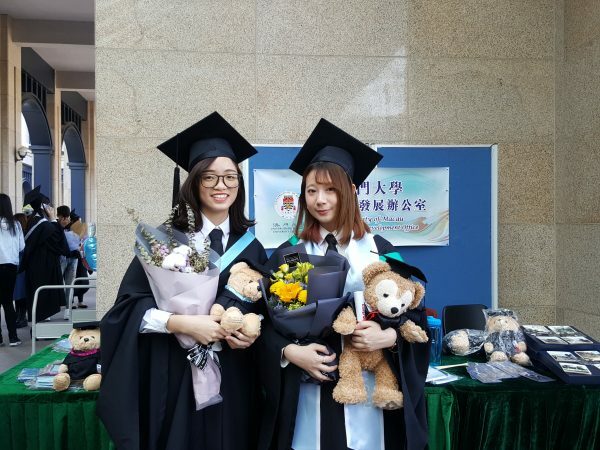 A souvenir fund-raising booth was set up at the Library Plaza of the UM Wu Yee Sun Library during the Graduation Photo Taking Day 2018. It aims at cultivating a culture of giving back among students and encourages them to support the development of UM. Over 130 students, alumni and staff have made generous contributions and approximately MOP20,000 was raised through this activity. 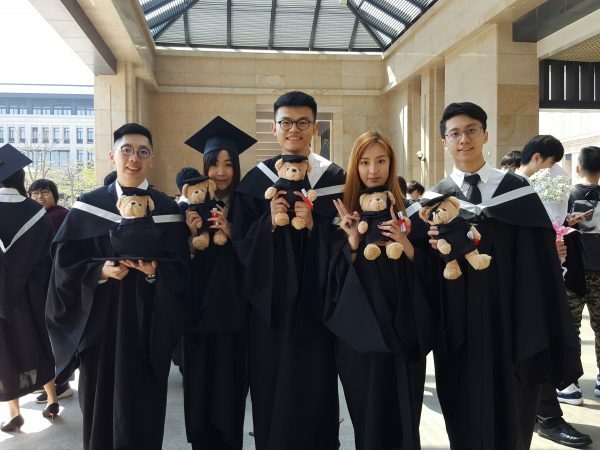 All contributions will be donated to the University of Macau Development Foundation in supporting the long term development of the University. To appreciate the supports from students and alumni, ADO will continue to accept orders of souvenirs. Interested parties can make their orders by sending email to donation@umac.mo. You are also welcome to visit the ADO office (N6-2021) or contact us at 8822 4243 during office hour.